The flow turns to dribbles!! Peeved and disappointed, you realize you’ll be needing a new water pump! Features such as water pressure, noise and vibration levels, GPM, and amperage are determining factors in the water pump that’s just right for you. 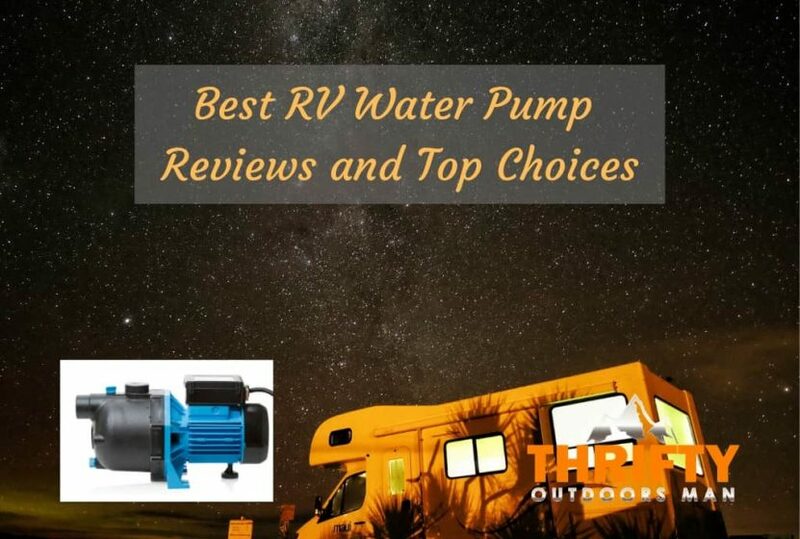 What Are the Benefits of an RV Water Pump? If you already have the luxury of camping in an RV, you want the complete package of running water to go with it. A water pump gives you the luxury to wash dishes, shower, and flush the toilet with similar water pressure to your house. Even if you’re at an off-grid campsite, your water pump can grant you the comforts of running water. Not until your water pump malfunctions do you realize how much you have come to depend on it for your comfortable living. Choosing the right water pump can be a daunting task. So many choices and even more opinions stare at you as you look for the right one. To sort through some of these choices, I recommend to consider a few details before purchasing a water pump. FIRST: Determine how much PSI your RV’s water system needs or can withstand. See the below video for RV pressure tips and tricks. SECOND: Consider the amount of amperage your generator allots for your water pump. THIRD: How much water flow (GPM) do you need for your daily needs? FOURTH: Although all water pumps make noise, how important is low noise and vibration to you? For a quick overview of the importance of these considerations, click here. The water pumps mentioned in this article are intended to be used in short circuit water systems such as in RVs and motorhomes. Running the pumps constantly in a manner as to supply a household of water will burn out your pump very quickly. Know that a 12VDC connection is a Direct Current connection like a car battery; it’s not the same as house power which is AC (Alternating Current). These pumps are intended to be used mainly for freshwater purposes. 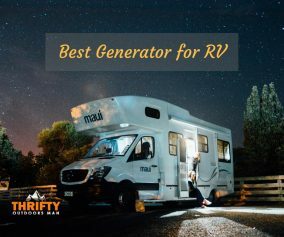 Although the product descriptions say you can run the pumps dry without damaging them, it’s highly recommended to only do that when winterizing your RV to ensure there’s no water left in the pump to freeze and crack it over winter. Click here to see why you should not run your pump dry. Know the difference between a demand pump and a bypass pump. A good water pump for your RV will deliver water pressure between 45-50 PSI. If you’re not sure how much PSI is too much, check with your RV manufacturer. Most commonly, RV campers use pumps that draw out 3 gallons of water per minute (GPM). You may want to carefully check the amp usage of your water pump to ensure it doesn’t blow a fuse in your RV. An average RV water pump will use anywhere from 5-8 amps. You may like the convenience of a self-priming water pump. A good water pump has a built-in check valve that prevents a backflow and ensures a smooth flow. Many water pumps have rubber feet to minimize the vibration and noise levels. There are several methods to “silence” your water pump. Lastly, you want to find a pump that is durable, reliable and still affordable. This affordable, environmentally friendly model is a lightweight little pump weighing only 3lbs with dimensions of 4.8x5.5x11.5in. It features a 12VDC connection which uses 7.5 amps and delivers 3.0 GPM at 55 PSI. This self-priming water pump has the ability to draw water vertically up to 6 feet. It’s crafted with top quality features using patent-pending Flow Reaction Technology; the one-piece diaphragm, internal bypass, and built-in check valve provide you with a quiet, low-cycling and long-lasting performance with less vibration than some older models. Thermally protected, this little water pump will automatically shut off if it overdraws current, and it will automatically turn back on once it’s cooled off. Although it has the ability to run dry without damage, it’s not advised to do that with any water pump. If maintained properly, this Shurflo model can deliver water for you daily up to 2 years. This efficient Water Diaphragm pump, using significantly less amperage of 3-6 amps, also features a 12VDC connection. It’s designed slightly bigger (7.8x5.00x4.21in and 4.61lbs) than the Shurflo 4008 model. It delivers the same 3.0 GPM but at 45 PSI which is still enough to flush a vacuum toilet or use the shower and sink at the same time. The PSI can be adjusted as low as 20 PSI. It also features a thermal overload protection to keep it from overheating. This self-priming fresh water pump features a built-in check valve and soft rubber mounts for smooth and quiet operation. When you order this product, along with the pump, you receive a set of instructions, 2 ½in barbed hose adaptors, and a mesh inlet strainer which can be removed for cleaning. This filter is highly beneficial for keeping out debris from entering into your water line or damaging your water pump. Remco’s 55-AQUAJET water pump features variable motor speeds which adjust according to water usage and demand. It uses the same 12VDC as the previous two pumps but has a low voltage protection which benefits you when the power supply weakens. Its 5-valve chamber design is built to deliver a very high flow of 5.3 GPM. The shut-off pressure is at 75-85 PSI, possibly up to 100 PSI and a bypass pressure of up to 140 PSI, which is great for higher demand if your RV’s water system set-up can handle this kind of pressure. At medium to high flow, this model can operate fairly quietly at lower speeds with hydraulic transmission. Weighing 6.43lbs, this pump’s dimensions are 12.3x6.2x5.4in. When you order this product, you should be getting 2 quick connect fittings with ½in male thread size which fit any standard pump filter. With a similar size (12x5x4in and 4lbs) to the Water Diaphragm pump, Flojet’s Quiet Quad Water pump self primes vertically up to 2.4m. The 4-piston design delivers 3.3 GPM with a decent shut-off pressure at 35 PSI and uses up to 8 amps during run time. It features a pressure switch, that enables it to cycle on only upon demand. Its rubber base reduces vibration. This pump comes with quick connect plug in ports and fittings (⅜in barbs and ½in MPT connections) that easily slide into place when replacing an old water pump or when winterizing your RV. When replacing the old pump, it’s strongly recommended to use the new connectors provided to eliminate any leaking. Although mainly used for freshwater, it can be used for salt water with the expectation of a shorter life span. This durable, quiet water pump is highly valued. If maintained properly, it’s bound to give you long-lasting, reliable, and quality performance. This Flojet model features a permanent magnet, ball bearing motor and 3-chamber diaphragm design which self-primes up to 9 ft suction lift. With dimensions of 9x4x4in and weight of 2.6lbs, this very lightweight, corrosion-resistant pump delivers 2.9 GPM with a pressure switch setting of approximately 50 PSI. It also uses a 12 VDC and draws 5-7 amps of current. The soft noise-absorbing mounts and built-in bypass are designed to reduce noise and pulsation. It comes with a ½in pipe thread fitting, quick connect male adaptor, and snap in port fittings. It’s highly recommended to purchase a filter to install between the water source and the pump. This genuinely valuable water pump is a demand pump, which means it cycles on only when a faucet is turned on and cycles off when the faucet is turned off . It produces a constant water flow and turns off smoothly without sputtering. Used for everyday use (cooking, dishes, shower, etc), users rely on this model to run for a long time on a deep cycle battery. Maintaining it by draining the pump and letting it run dry for just a bit helps keep the pump from cracking from ice over the winter. With proper maintenance and power supply, this Flojet water system pump can last up to 4.5 years. Which water pump is right for you? These five water pumps all have very similar features and yet the durability and reliability seem to vary quite a bit. For a long-lasting, durable and reliable water pump, I recommend the affordable, corrosion-resistant Flojet 03526-144A Triplex Diaphragm Automatic Water System Pump. It only uses 5-7 amps and produces all the pressure you need to liken the comforts of home. If you need less PSI than what the Flojet Triplex offers, you may find the 35 PSI of the long-lasting and durable Flojet Quiet Quad Water System Pump to be right for your RV. The fact that it may be able to survive for several years even in a saltwater environment may be attractive to you. If you’re looking to supply a great amount of water and your RV’s plumbing system is large and strong enough to withstand up to 140 PSI, the Remco 55AQUAJET-ARV H2O Pump may be just the one for you. With an accumulator tank, you can enjoy a high water flow with a relatively quiet pump. 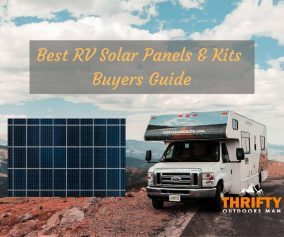 I encourage you to do your homework and determine what your RV’s specific needs may be. It’s important that you choose the pump that fits your budget and yet delivers water satisfactorily. You don’t really want to be left to shower with dribbling water again, do you? 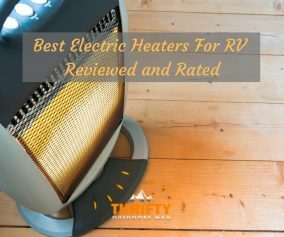 Check out our post on the best RV Tankless water heater and Best RV Toilet.